So, the foodie in you is gnawing again. It has been persistently scratching the surface. One of the reasons could be to start a restaurant! On your part, you have not only tasted the happening, the thematic, the far away and the not to miss next door restaurants, but you have also donned the chef hat too. You have analyzed the menu cards and visualized the ambience. Your eyes have widened at a ‘to-let’ board on that busy street. You are groping for answers. Yes. You have made up your mind to start a restaurant. That long cherished dream. The time is ripe and your heart is ready. But is that enough? Well, it is beginning. As we still have to address your better half. It has been trying to find a foothold in your mind for some time now. It is assessing and processing the barrage of questions that keep popping up. Is the location good enough? I love Italian but, will sticking to a single cuisine work? How will my restaurant stand out amongst others? What about funding – will that friend of mine invest as discussed? What about the licenses? In short, how to start a restaurant business? Especially in India, with its challenges at multiple levels. This begins with a good amount of research work, lots of planning and running around. To equip that entrepreneur in you, here is a step-by-step approach or checklist to start a restaurant business. Let us get one thing straight before we begin. You cannot capture 100% of the market, as no single food type has a universal appeal all the time for everyone. So, keep 5-10% of the market in mind and then start thinking about other things that helps you to start a restaurant. It all begins with the homework and how deep you have dug, in order to find the information, you want. Ensure that your sources are credible, reliable and applicable, as these are the factors which will help come to that crucial decision. Is there a market for the type of restaurant I have in mind? If you get a clear idea about this, then it gives way to rest of the questions you need to ask. Are similar restaurants working? Where are they located? How do they operate? The answers you will find will help you zero in on the type of restaurant you want to open. Don’t hesitate to ask questions. Your homework should also involve, getting an overall insider information or an idea about the important things that are required to start a restaurant. Be it the jargons involved, or the margins discussed, you should familiarise yourself with the internal language. Or even better, start speaking it ASAP. If your groundwork is good, you would have got a fair idea by now, whether the concept you originally had in mind will work or not. If yes, great. If no, time to change the concept. By now you would know, what other concepts have a market in your location. Concept-based, multi-cuisine, a microbrewery, coffee bar, a food truck, it can be anything. Bear in mind to choose something, to which you can connect to. If you are a chef yourself, start a restaurant with a different genre. But, if you are a passionate foodie with a dream, then go for a concept which is close to your heart. The truth is many restaurants fail in their first year of operation. Why? Due to the lack of a sound business plan. Without a clear-cut business plan on paper, don’t even think about buying a spoon. Yes, it is as basic as that. Assuming your homework is in place, your plan must clearly state some of the important aspects. What is the projected cost of setting up? What are the time frames? What is the APC (Average Per Cover) expected? Where is the funding coming from to start a restaurant of your choice? What is the SWOT? What are the financial projections and when is the break-even likely to happen? What is the team size? What is the competition? Needless to say, it is exhaustive. Cover all the aspects well, so that you are covered. This side of the street doesn’t get as much activity as much as the other side does; A high end restaurant in a residential area won’t work, just as a humble food truck which won’t work in a high-end area. Get the point? Location is that important. Choose wisely, simply because the commercials of the locations are mostly so high. Make that choice based on the location’s visibility, will it work for your concept and capacity, rental amounts, terms of lease. A good location should put you into full vocation. Oh! And don’t forget the parking. Now for some actual hard work. Until and unless you have a clear picture of how the ambiance is going to be, a good idea would be to visit few famous restaurants in your city, if possible other cities too. What fun! This will give you ideas about how the interiors are done, who is a good architect to hire, the menus, the pricing etc. Hire an architect with whom you can connect and freely discuss ideas. Agility is so important. Plan your interiors and exteriors in such a way that it reflects the theme/concept of the restaurant, without missing the functionality of the place. Also, your kitchen equipment and Service ware should be planned to keep the menu, size of the restaurant, concept etc in mind. Identify good markets and suppliers to save some money on this big project cost head. Before you start a restaurant business, gear up for the list of licenses and permits you should have in your hand. You should start the process now, as typically it takes about a month or so from the time of application, for these licenses to come. Read here to know the complete list of licenses and Permits to be acquired and how to go about it. Finding good players is easy but getting them to actually play is another ball game. So, think twice before you hire someone. They might be good at their work, but do they operate as a team player? Most importantly, how is their attitude? If you are a chef who is planning to start a restaurant, your team structure might be different from a techie who has just ventured into this business. As a techie, your structure might be different because you will have to hire a good chef first. Also keep a check, whether the number of people you would want is aligned with the numbers you have specified in your business plan. Whoever you would be hiring, keep in mind to hire a mix of people who are going to be happy in the kitchen and who are social and people’s person. You need both. Most importantly, don’t forget to train them especially on the service side. Ensure that their P’s and Q’s are in place. Soul soothing Maa ki Dal and Curd Rice (based on where you are) or Slow Cooked Tender Chicken in an Almond Tomato gravy? Yum. Maybe both. A signature dish can be anything. A consistent comfort food or an exotic innovative dish. Both have equal capacity to be crowd pullers. People travel really far to just savour a particular comfort food found at a particular restaurant and also experiment in their eagerness to try something different. If you are chef, it is easy to create comfort foods and some furore over fusion dishes. If not, a good menu is a mix of few standard dishes and innovative dishes which have a restaurant appeal. A restaurant is as much about taste, as much it is about ambience, company, location, if not more. So, make sure that whatever you create, it should speak your style and should be consistent. Also, take care that the menu cards are simple, easy-to-read format and yet look classy. Yes. It is possible. By now you should know the prices of Biryani / Chinese Chop suey/Au gratin at various restaurants, if not across areas, definitely at places near you. Of course, covering all segments. High end, fine dining, casual dining and dhabas. You would also know on what basis they are priced differently. At the core, your pricing should get your numbers. It should be able to capture that APC you have quoted in the business plan. If you have quoted 500/- per head as APC in your business plan, you cannot be pricing your Biryani at 150 Rs. Get the point? So, it all boils down to the segment you are getting into. Be price wise and ensure you give scope for accommodating the price rise in the future. Okay. Congratulate yourself that you have come this far. Your dream is actually in front of you. You have been silently working all the while. Now is the time to start talking. Talk a lot and decide how you want to go about telling people, that you are opening a brand-new restaurant. The options available today are mind-blowing. Getting associated with mediums like Swiggy and Zomato can push your restaurant to great new levels. Facebook and Google can do wonders. Radio is another good option. Explore. Depending on your ad budget, you can go for conventional types too like print and paper ads, hoardings etc. Another thing you must do is the food trials. Call your family, friends and all those far-flung relatives (yes, them too) and give them the feel of your restaurant and get them to taste your food. Their feedback on taste and service is fully paisa vasool for you, even though you are doing it for free. As they are your word of mouth advertisers. Use them. If your marketing efforts have been good, people will start pouring into your restaurant. Probably, even before a formal launch, if at all you have planned one. It is a good idea to have a soft launch first, as that will give you the required cushioning effect to tie all the loose ends. If the feedback is great and if people are loving it, what are you waiting for? Launch it with a bang. These are not strict commandments, but simply tested ways through which it is easier for that entrepreneur in you to gain clarity and act upon. Of course, assuming this is, if you want to start a restaurant. 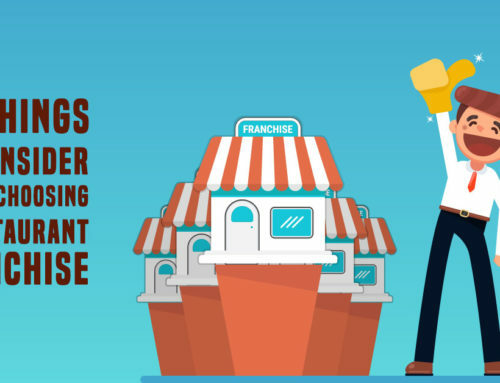 In case, the mind is turning towards a tried and tested franchise options, see what you have to consider while choosing one. Nothing brings people together like good food. Having said that, people come to restaurants for an experience. For you to make that experience special and distinctive, the essence of your restaurant’s taste and style must be yours. That is what will make the difference. The passion of that foodie in you on the plate and the mind of that entrepreneur in you for that experience.